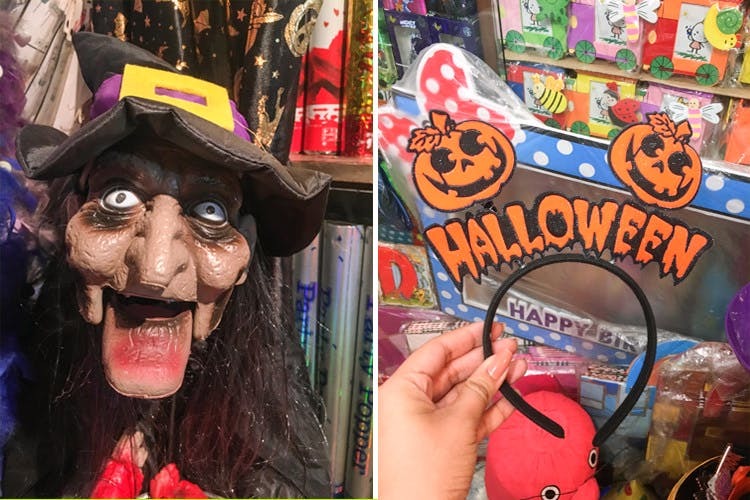 New Market is full of hidden gems and it’s also where you can pick up cheap (and customisable) Halloween décor, costumes, and accessories. Throwing a big Halloween party and want awesome (and spooky!) tid bits to put around the house? Want to freak the neighbours out with bloody appendages dangling from your doorknob? Want to get dressed up and drink blood (aka punch)? These stores near New Market have you covered. There’s a row of shops on Free School Street (just beside Kalman’s opposite St Thomas’ Day School) that sell décor and costumes for any and every occasion. They usually do customised birthday parties (they’ll make you everything from fake Game of Thrones swords to a Mickey Mouse khoi bag). In October, these stores become THE places to hit if you’re looking for Halloween stuff. Mary Flower and National Paper House have the most interesting (and cheapest!) collections for every budget. The stores are decked out to their spookiest and scariest. Call your make-up artist buddy over and get them to paint your face with these neon body paints. They come in a range of colours (purple, green orange and more) that you can pick up for INR 80 for a 25ml tube. Don’t want to spend too much? The masks, which start at just INR 50, are your best bet. Witches, ghosts, monsters, devils – they have it all. The fake witches’ noses (which have very realistic looking warts on them) and slip-on long fingernails are super gross too. Devil horn hairbands, bunny ears and festive Halloween hairbands are another great bet for a cost effective yet cute costume. Don’t just look spooky yourself, make sure you give your guests major haunted house feels when they walk in. The bloody severed arms and legs dangling outside the store range from INR 150 to INR 250 depending on their size. Fake spiders, cobwebs, pumpkin lanterns, Halloween theme lights and stickers are other small pieces you can pick up to add to the creepiness at home. Buy in bulk! The stores will give you a discount if you buy a dozen or pieces of the same product.